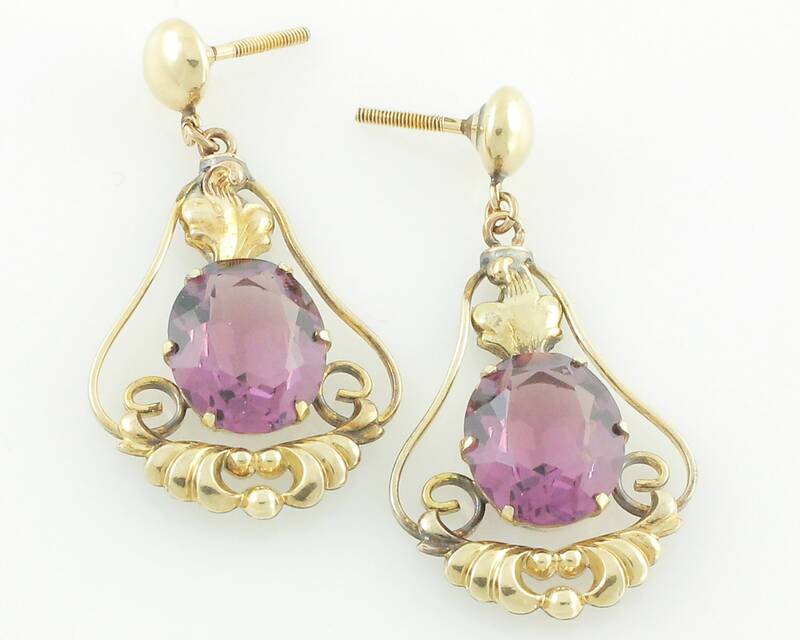 Vintage Purple Glass Gold Wash on Sterling Dangle Earrings. 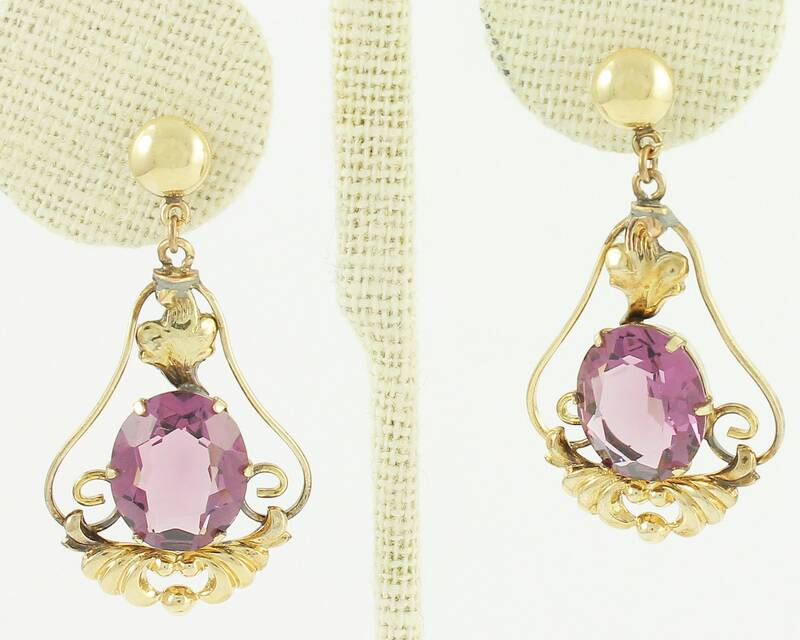 Made in the 1940s, these scrolled earrings with foliate flourishes feature large faceted purple glass stones prong set in sterling with 10K gold wash. 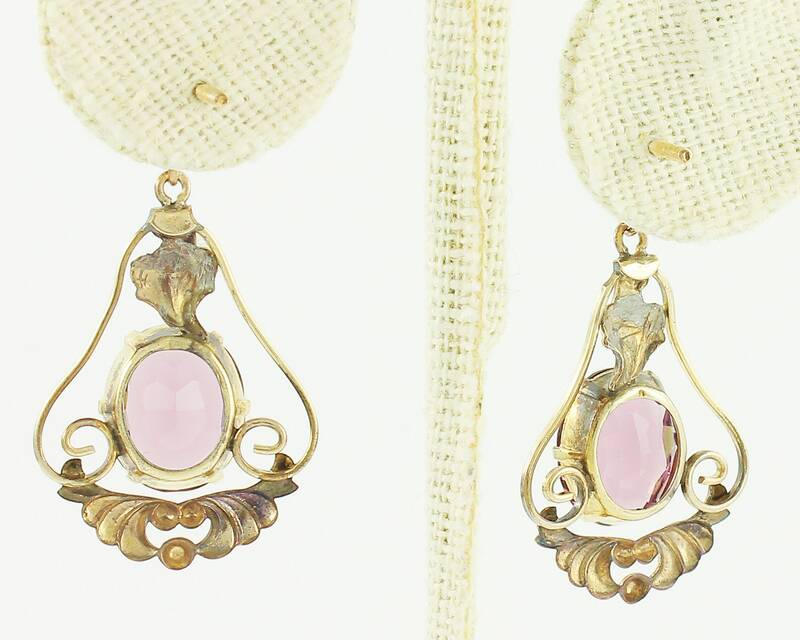 These earrings were converted from non-pierced to pierced earrings with screw posts at some point in time. There is some evidence of soft solder at the point of conversion. 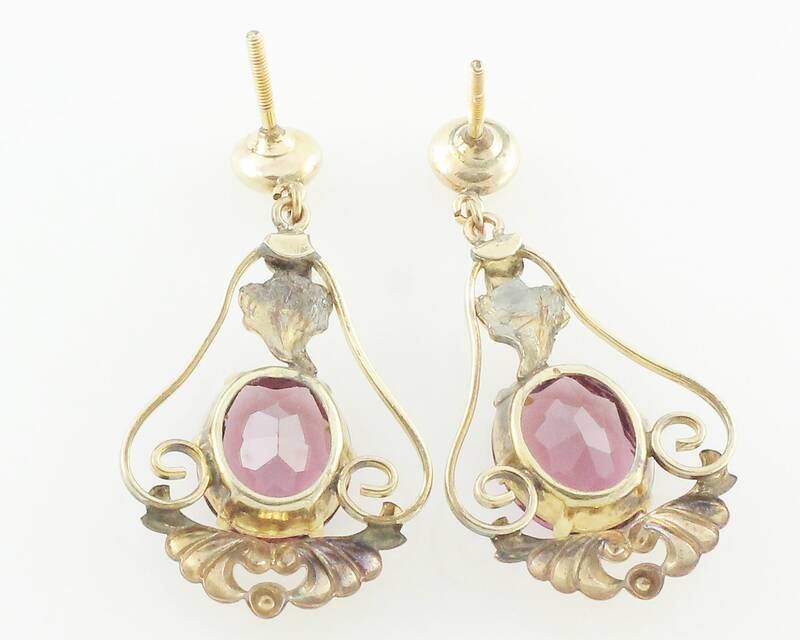 CONDITION: Good Vintage Condition with minor surface tarnish. No backs for screw posts. 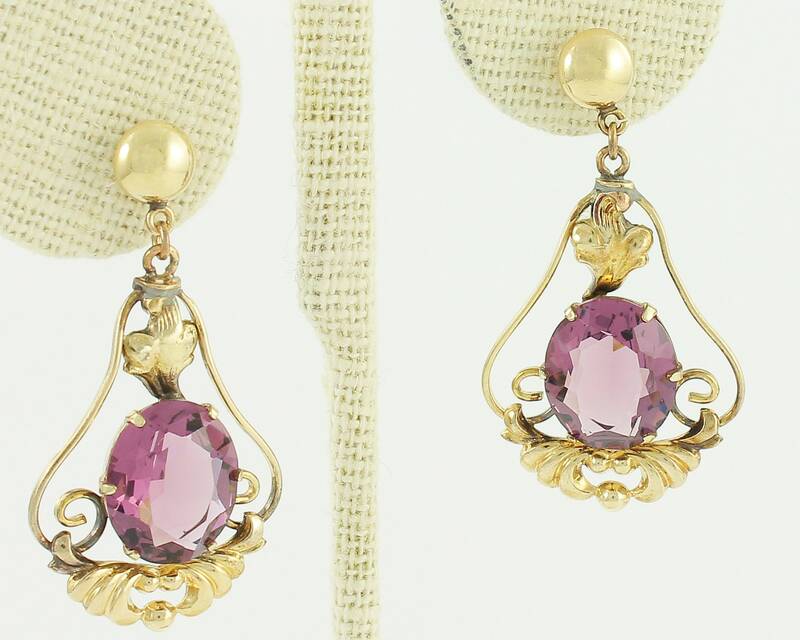 Earrings were previously owned and worn.